Sciblogs | $66 million in Marsden Fund grants – what was funded? 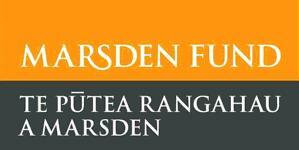 $66 million in Marsden Fund grants – what was funded? The Marsden Fund, bolstered by a $9 million top-up in funding announced in this year’s Budget, today hands out a record sum of cash to researchers around the country. The full list of successful grants is available here. Check back here through the day for reaction and analysis from our Scibloggers and for further analysis on the Science Media Centre website. Applications to the Fund are extremely competitive. Of the 934 preliminary proposals received (675 Standard proposals and 259 Fast-Start proposals), 214 were asked to submit a full proposal with 109 ultimately being funded, giving a success rate of almost 12%. Most of the funded proposals are for three years. Two 2006 proposals were given extended funding of two more years, giving a total of 111 proposals approved for funding in 2009. Highlights from the 2009 funding round include projects that will give answers to the questions: ’what happens before a volcano erupts?’; ’how and when do children put emerging language skills and memory together?’; and ’how has tangihanga practice changed through time?’. These research questions are only three of the hundreds addressed by the 111 projects funded this year.